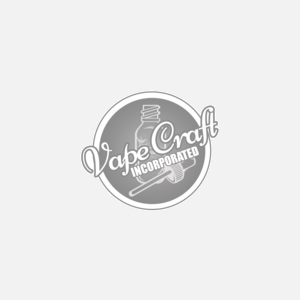 Get a Reuleaux RX75 mod & 2 120ml Vape Craft eliquid bottles for the price of just the mod. Black Friday Event Exclusive. Wismec has created some truly outstanding hardware pieces for the vaping industry and has done it once again with this unique series of their Releaux RX75 mod inspired by two major influencers, JayBo, and Vaping with Twisted 420. This vape device uses a single 18650 battery which is sold separately and features temp control, a front panel that can be opened and closed at will to protect the OLED screen/buttons and a magnetic battery cover to hide the firing button and prevent those accidental misfires many of us have had the unfortunate experience with at some point in our vape adventure. With a range of wattage up to 75 watts this device will support the different heating elements such as Stainless Steel, Titanium, or Nickel. Here you can see our range of coils. This device features variables wattage and a bypass mode. As with most mods of late, this device has a USB port to enable easy downloads of their latest firmware so you can stay up to date on the new updates. With dual circuit protection, this mod is not just easy to look at, it is ultra easy to use, performs great and will a long time while keeping you safe with the latest vape technology. Special note: This mod may only work with vape tanks that are 22mm or smaller in size. We are sorry for this inconvenience. Dimensions: 3-3/8" x 2" x 7/8"
Temperature control requires the use of nickel, titanium or stainless steel coils.